If you’re like most Californians, you’ve probably spent the last few days low-key freaking out about the possibility of an earthquake. 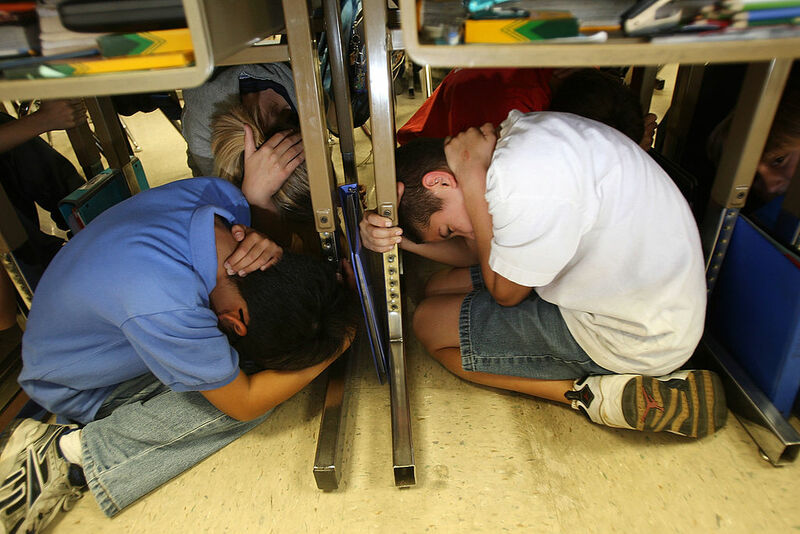 True, many of us already exist at some level of generalized earthquake anxiety, but the phrase “San Andreas fault” has shown up in the news a lot lately, and now there’s something about an earthquake advisory being issued?!?!? It’s okay, though! We’re gonna explain. It turns out that it’s not really as big of a deal as the media’s making it sound. That got scientists’ attention because it’s only the third such “swarm” since they started monitoring there in 1932, and it was one of the larger ones so far. So there was/is some concern that these little earthquakes might trigger a bigger quake along the San Andreas fault line — especially since the SoCal part of the fault is as much as 180 years overdue for a major earthquake. There hasn’t been a big tremor there since the 1680s, and on average large quakes are supposed to hit about every 150 to 200 years. Hence the anxiety-inducing earthquake warning from the experts. But it turns out that even they aren’t too sure about how big a deal this is. Initial number-crunching suggested the risk of an earthquake before next Monday was anywhere from 1 in 100 to 1 in 3,000, up from the normal 1 in 6,000 risk without an earthquake swarm. Thankfully, as of yesterday, the United States Geological Survey says that the risk of a big quake (anything magnitude 7 or up) has decreased substantially, to anywhere from 1 in 500 to less than 1 in 10,000. At the very worst, we’re looking at a 0.2% chance of earthquake. So in other words…Californians, take it easy! You can enjoy the weekend in earthquake-free peace.